Guidelines developed by the California Department of Public Health Sexually Transmitted Diseases (STD) Control Branch in collaboration with the California STD/HIV Prevention Training Center. This tool for providers offers content on sexual risk assessment and specific risk factors by population. Also developed by the California Department of Public Health Sexually Transmitted Diseases (STD) Control Branch in collaboration with the California STD/HIV Prevention Training Center. This basic sexual history tool can be used by clinicians as a guide to determine a patient’s risk for STDs. Recommendations are based on guidelines for STD screening from the Centers for Disease Control and Prevention, U.S. Preventive Services Task Force, Infectious Disease Society of America, Region IX Infertility Prevention Project, and the California STD Control Branch. Document from the American College of Obstetricians and Gynecologists that outlines its support of the use of expedited partner therapy as a method of preventing gonorrhea and chlamydial reinfection when a patient’s partners are unable or unwilling to seek medical care. Evidence-based and feasible clinical systems-level strategies from the California Department of Public Health for improving partner treatment and patient retesting rates for chlamydia and gonorrhea positive patients. Tips for Protecting Youth Confidentiality was developed by San Francisco’s Adolescent Health Working Group. This document outlines how clinic staff can ensure that their offices are conscious of confidentiality of adolescent patients. Tips for ensuring confidentiality when parents are involved are also included. In addition, this document includes a checklist to assist medical providers in making their offices adolescent-friendly. 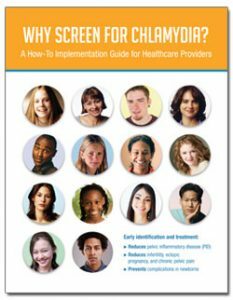 This document from the New York City STD & HIV Prevention Training Center provides guidance on how to code for confidential adolescent health care services and vignettes portraying an adolescent receiving reproductive health services to help practitioners practice using the CPT codes to protect adolescent confidentiality. An example of a brief tool addressing high priority adolescent risk behaviors. Available in English and Spanish from the New York State Department of Health, Office of Managed Care. For AAP members click here. This DVD for providers from the New York City STD & HIV Prevention Training Center describes a clinical encounter from a provider perspective; going through steps of where and how a provider can intervene to address the patient’s sexual health. An “Empowerment Approach” is used—identifying adolescents’ competencies and assets, helping to improve and increase adolescent decision-making skills, reinforcing health promoting behaviors, building self-efficacy and avoiding the tendency to blame problems on individual deficits. While a workbook that accompanies the DVD is available online, the DVD is not yet available online—a link will be provided when available.